LeBron James was trading lob pass with Dwyane Wade again, one last time. Lobs from Kyrie Irving once again, too. And after making a stepback three-pointer late, he stared down Joel Embiid to send a message without saying a word. MVP Kevin Durant scored 31 points for Team LeBron, the one that James drafted and led to victory in the captain's-choice format for a second consecutive season. Klay Thompson scored 20, and James and Kawhi Leonard each scored 19 for the winners. "We just started making shots," Durant said. 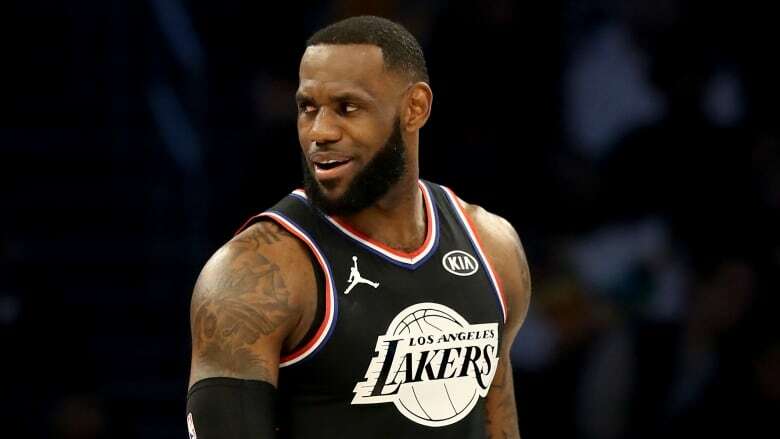 But when Team LeBron used a flurry of threes to get back into it, everyone on the bench was standing — sometimes running from the bench and onto the court during play, the celebrations a bit more exuberant than what's usually allowed. And the all-star farewells for Miami's Wade and Dallas' Dirk Nowitzki— the adds to the game by NBA Commissioner Adam Silver, in honour of their career bodies of work — were festive, as everyone wanted. Wade dunked, James dunked, and the close friends who entered the NBA together in 2003 and won championships with Miami in 2012 and 2013 got a couple more moments to savour in their final night as on-court teammates. Wade finished with seven points in 10 minutes, and Nowitzki never returned after his nine-point, four-minute opening stint. When the third quarter ended, every player gathered behind them as Wade and Nowitzki were honoured with commemorative jerseys at midcourt.